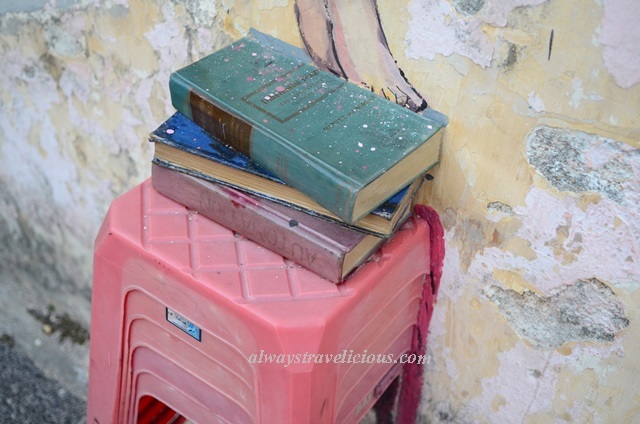 Ernest Zarcharevic's Murals @ Ipoh - Always Travelicious ! Ernest Zaracharevic and Old Town White Coffee teamed up to add an artsy vibe to Ipoh’s old town. 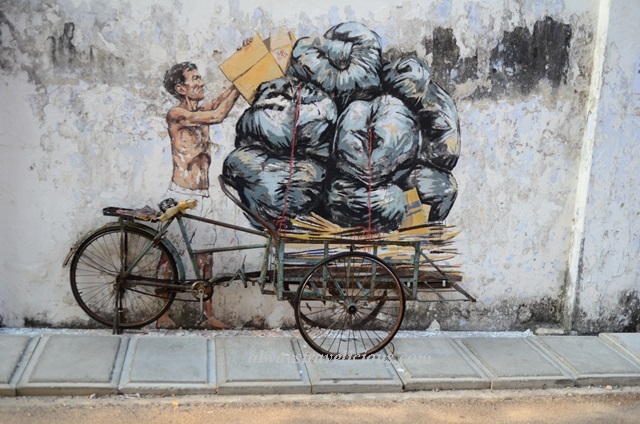 The murals and wall arts are reflections of Ipoh’s past and present, drawn on perfect canvases of tattered and worn walls. Total of seven murals are drawn and they are simply brilliant. It all started off as a small packet of kopi-o as a sneak preview, painted on a blue-white checkered metal door. You might just walk past it, thinking it’s somebody’s drink hanging there. Location : opposite Kong Heng Kopitiam, Jalan Bandar Timah. Then the kopi-o packet got super sized and became giant kopi-o’s, dangling happily and dancing away at the top of the wall. Mind you they are ICE kopi-o’s as you can see the water droplets on the packet. Location : At the car park opposite Maybank, Jalan Tun Sambanthan. White coffee is part of Ipoh’s heritage. Roasting for the past 60 years and still ongoing, it is served in many traditional coffee shops in Ipoh. 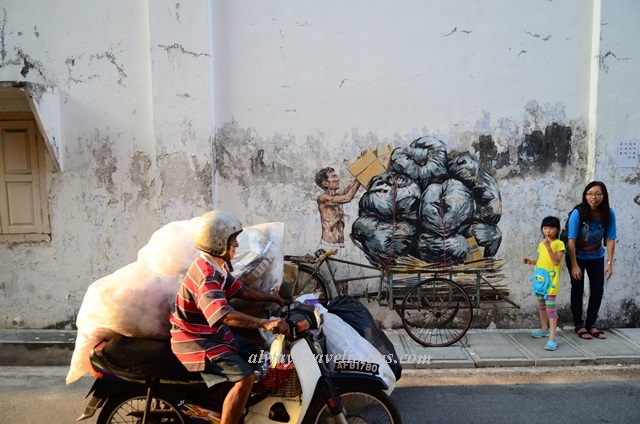 The old man looks intrigued – perhaps amused by the revitalization of Ipoh’s old town? Location : On the side wall of Oldtown White Coffee’s branch at Ipoh Padang, Jalan Tun Sambanthan. Just a little further down the same road is the mural of two kids on a paper plane. I am sure everyone played with a paper plane at some point during childhood – except that I never played with one so big I could actually sit in it ! Location : Jalan Tun Sambanthan. 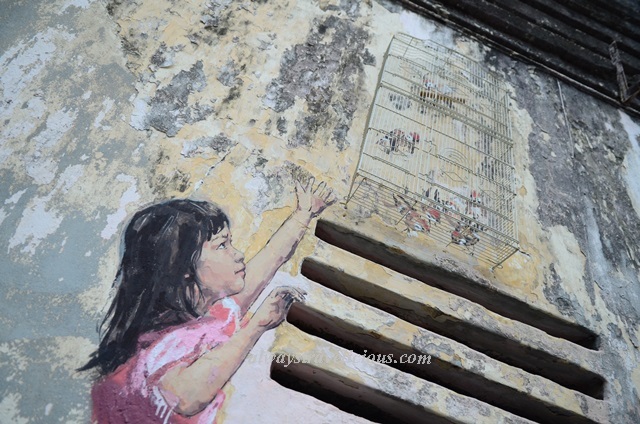 Another children related mural is the little girl reaching for the bird cage. Location : Jalan Bandar Timah. 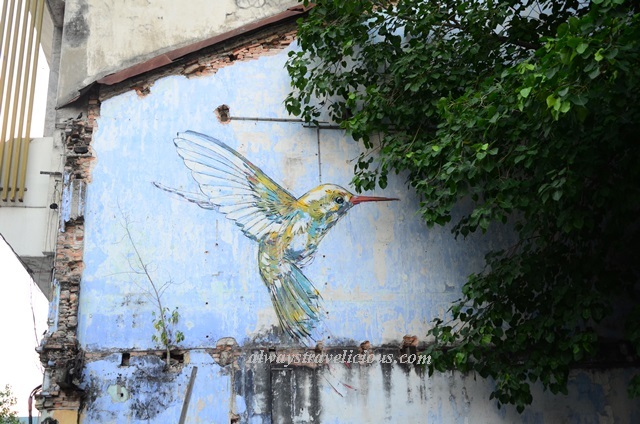 The tin dredge mural is my favorite because tin mining was a major industry once upon a time and very much of Ipoh’s prosperity was linked to it. Black and white add a sense of time to the past glory of tin mining, yet history still lingers, sometimes appearing as a subtle reminder in road names such as Jalan Leong Sin Nam, named after a wealthy tin mine owner. 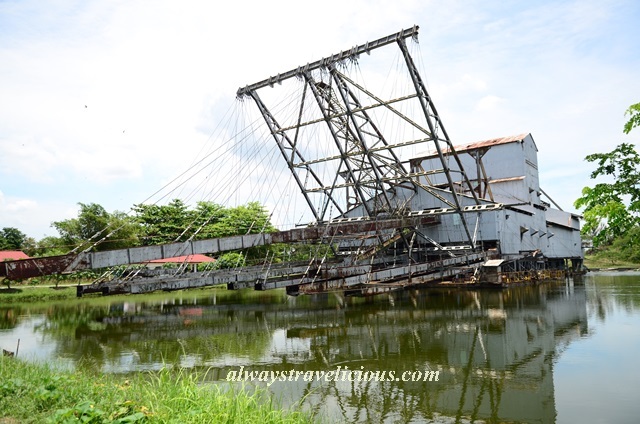 The TT5 Tin Dredge is one of the very last remaining tin mines in Malaysia is in Batu Gajah, about 30-40 minutes drive from Ipoh. 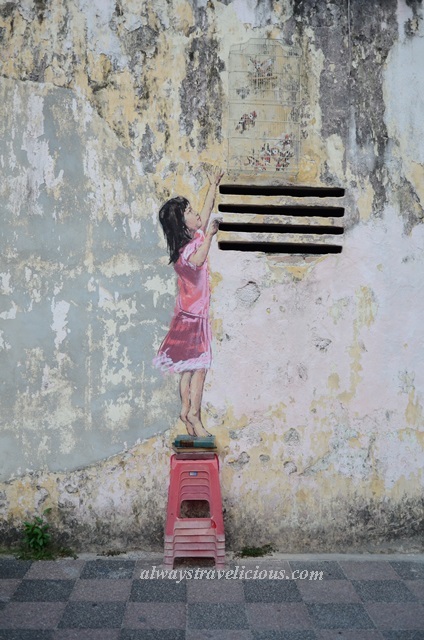 Perhaps Ernest Zacharevic got his inspiration from this uncle here? Location : at the small lane behind Jalan Market. 7. Humming Bird The humming bird mural could not be more suitably located as it is right underneath a pigeon hole – a cute contrast when a real pigeon flies in and out from the hole, right above his larger-than-life mural counterpart. 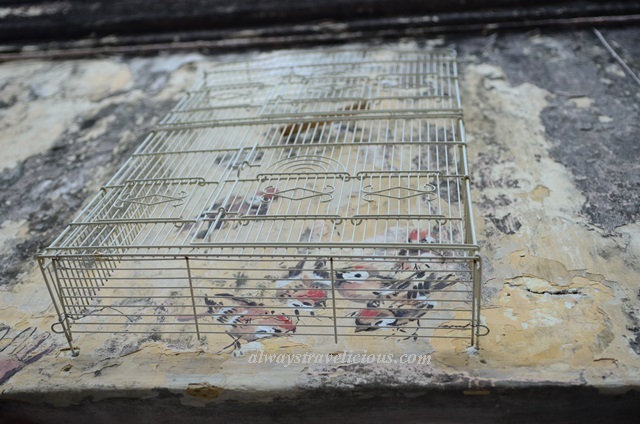 Pingback: The Concubine Lanes of Ipoh - Always Travelicious !